0.0.3 Hike Bumper Rewards!! Before we already enjoyed hike when they were giving Rs.20 Per Refer when your invited friend was installing Hike Messenger from your Refer Link. Hike Bumper Rewards!! 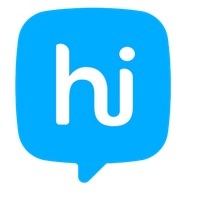 Before we already enjoyed hike when they were giving Rs.20 Per Refer when your invited friend was installing Hike Messenger from your Refer Link. 2. Register using Refer Link. You must have to be a New User so Sign Up using a New Number and Verify it with OTP. 4. Click on Claim Rewards and you will get a Random Amount depends on your Luck in your Wallet instantly. NOTE : If you did not get Claim Rewards Option then Go to ME > Services > Rewards option to Get Claim Card. 5. 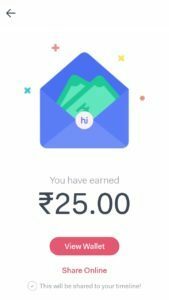 Here I got Rs.25 when my referred me on Hike. 6. You can check your Balance in ME > Wallet > and Check your Balance. 7. You can transfer your earning in your Bank Account or you can Recharge your Mobile or Pay Bills. 8. Now Again Go to ME Tab and if you are Eligible to Refer and Earn you will able to see below banner of invite friends. 9. Click on Invite now and share your referral link with your Friends and let them install hike on their phone. 10. Both of you will Get Random amount in your Wallet. and You can Earn Rs.25 Per Refer in your wallet and all money is transferable in your bank. We can earn up to 10,000 in our hike wallet.Hike also provide UPI transaction so we can transfer money to another friends bank account. This another thing is that we can redeem hike wallet balance in to our bank account as well as recharge with it. You just need to follow some steps and you can transfer your wallet balance in to your bank. First of all Open Hike and Go to your wallet . It will ask for add bank account.Add your bank account details. 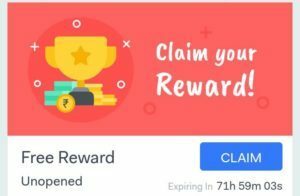 If you don’t see Hike Invite and Earn or Hike Bumper Rewards Offer in your Hike account then just follow the given below steps to get the offer. Open Hike App and click on Timeline tab from the bottom bar. Most of your Friends, who are having or claiming this Offer will have their Earnings Image on Timeline (check the image below). 3. Just check for such posts from your Friends and when you find it, you will see one GET REWARDS button along with the image. Just click on it. 4. You are taken on Hike Bumper Rewards Offer Page. Now start completing the tasks and earn rewards. 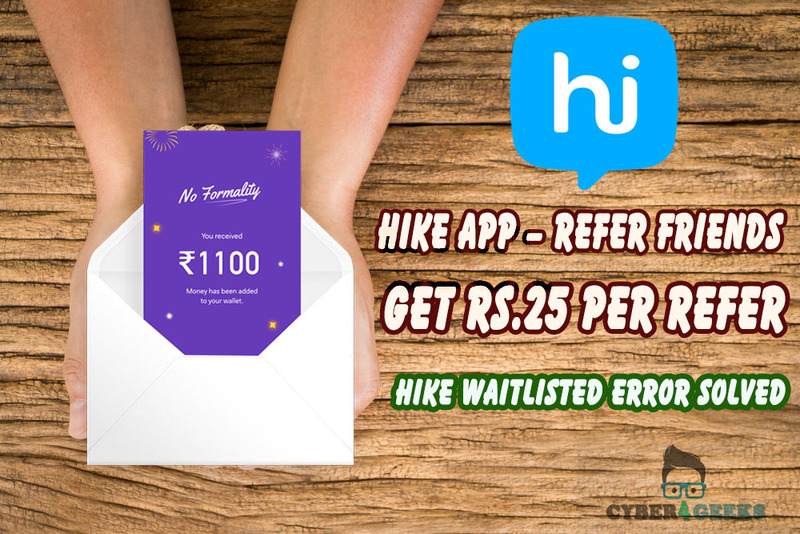 Now you have got access to Hike Invite and Earn Offer. 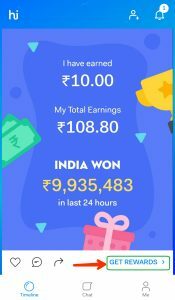 Earn Real Cash upto Rs 10,000. You can use Parallel Space App for Hike Unlimited Trick. Sign up using your Refer link and Follow Above Steps again and Again to Earn Money Online. You just have to register every time using Hike Unregistered Number.